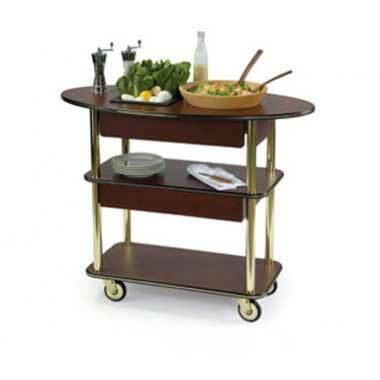 myBoelter's selection of service carts are perfect for beverage service, meal delivery, and tableside service and presentation at any foodservice or hospitality operation. The Lakeside Geneva Series features the Victorian Cherry and Spice finishes, which are as elegant as they are functional. High impact trim edges prevent premature nicks and scrapes while keeping your service cart looking good from its first day on duty until its last. myBoelter representatives are ready to help you determine which service cart will provide the presentation you’re looking for.